The Tiny Report was created by Robyn Chapman in the first days of 2014. It’s goal is to chronicle the comics micro-press movement and bring greater awareness to the books it produces. We also distribute a small number of titles. 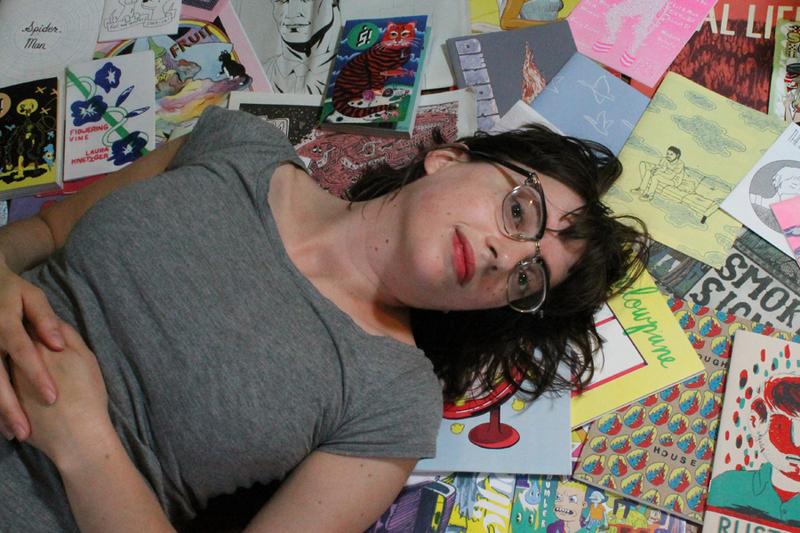 Robyn Chapman is the proprietor of Paper Rocket Minicomics . She spent five years at The Center for Cartoon Studies, initially as their first fellow and later as their program coordinator and a faculty member. During her time at CCS she earned her MFA, having previously earned her BFA at the Savannah College of Art and Design. Several years ago she started studying the history of zines and minicomics, a history that has gone largely unrecorded. She created The Tiny Report to chronicle the micro-press movement while it’s still happening. Robyn is a cartoonist, a publisher, a distributor, a freelance editor, and an amateur journalist (but she doesn’t make much money doing this stuff). She lives in New York City and is an assistant editor at First Second.